'They say never work with children or animals, and we’ve got 27 kids and a dog, so we really went there. We really took on all the challenges'. 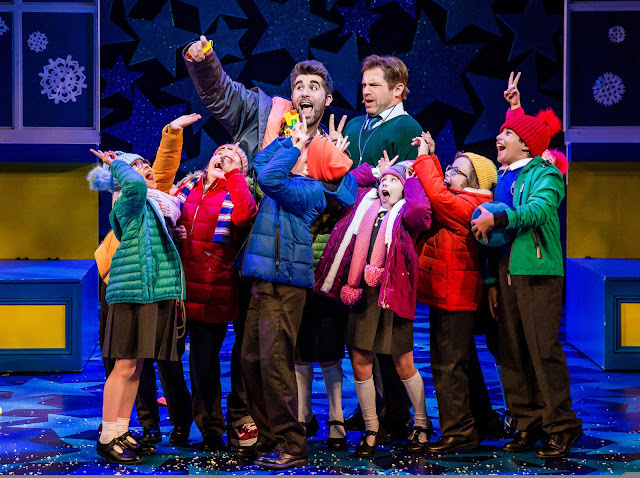 I'm chatting to Simon Lipkin, who is currently touring the UK as Mr Poppy in a brand new musical adaptation of the popular 2009 christmas film Nativity! which tells the story of a school teacher who tries to persuade his Hollywood producer ex-girlfriend to come and see his class's Nativity. With an enviable list of acting credits in popular musical comedies such as Nicky/Trekkie Monster in the original London cast of Avenue Q, Lonnie in the original London cast of Rock of Ages, and more recently Rat in the West End transfer of Stiles and Drewe's The Wind in The Willows, the role of the fun loving teaching assistant Mr Poppy, who Lipkin describes as 'sort of Peter Pan-ish' and 'one of the kids' is a natural fit. Having first become involved with Nativity! The Musical during workshops 4 years ago, Simon Lipkin's enthusiasm for the show is extremely palpable. Having previously seen the film and loved it, he explains that 'some things translate really well to the stage and then other things not as well, but this one was so right to be turned into a stage show' adding that 'it’s so joyous and brilliant, and the songs in it are brilliant, and they’ve embedded in a bunch of new songs that kind of work just as well. Some of them are my new favourites'. In recent years the number of films being adapted on stage has seemingly grown rapidly, so it's great to hear that Nativity! lends itself so perfectly to the stage. 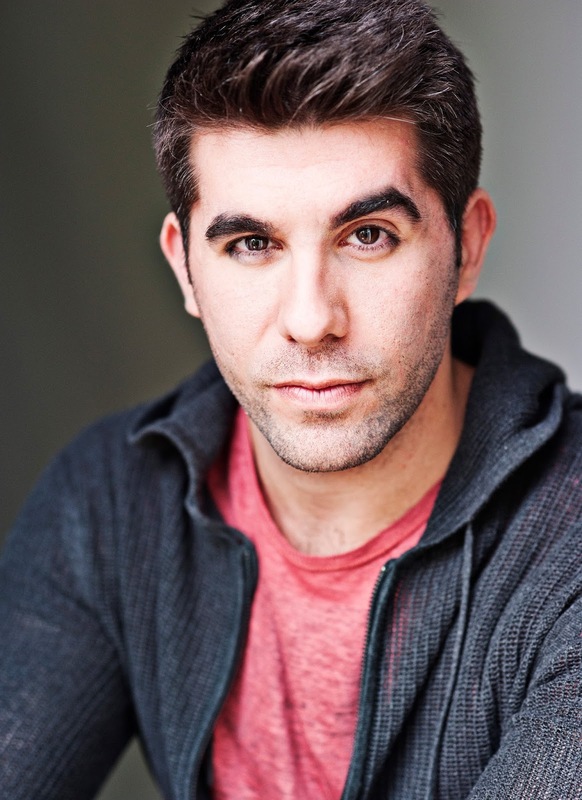 Critics and audiences have been very positive about the show, and Simon Lipkin even remarks during our interview that they have been receiving standing ovations. I query whether taking on a role in the musical adaptation of such a popular film is daunting in any way, to which Simon Lipkin replies that '[Mr Poppy] is such a well known character from the films, and Mark Wooten who plays him in the film does it so brilliantly, so it was slightly daunting.' However, Lipkin adds, 'I’ve tried to give it my twist, so it honours what he’s created, and what people love about him in the movies, but I’ve sort of put another twist on it.' In the films Mr Poppy is a very likable and very funny character. I ask if Lipkin relates to his character in any way and he answers that '[Mr Poppy is] an adult and he’s lived his life, but he’s kind of a big kid who’s held onto his imagination and likes to play, and likes to be silly. Well, not always, but a lot of the time I’m just like that'. Having been brought up on comedians such as Morecambe and Wise, The Two Ronnies and Tommy Cooper, Lipkin is naturally a comedy lover, and as we chat he praises the comedic aspects of Nativity! the Musical. He enthuses that 'it’s a very very funny show, it’s a true family show and there are beautiful heartfelt moments, but most of the time you’re laughing a lot.' As we chat I notice that not only is Simon Lipkin very humble and down to earth, he is also extremely appreciative of his co-stars and the creatives working on Nativity! The Musical too. 'We’ve got 27 kids in the cast, 18 performing every night, and they are brilliant! They’re like comedy gold! And the best thing is that they don’t know it'. He also praises Debbie Isitt, the writer and director of both the film and the musical, saying 'our director loves to find just normal kids who are very very funny'. I query whether there are any challenging aspects involved with playing to a younger audience and working with such young co-stars (the actors portraying the children in the show range from 8 to 12 years old) and Lipkin is quick to explain that although it was a little daunting to begin with, once they got into rehearsals they knew that everything was going to be alright. In fact, he has nothing but good things to say about his young co-stars, remarking that 'when we were little we could play for hours and pretend that we were in a spaceship or a castle or a pirate ship, and we would believe it. Their imaginations are so intact when they get onstage and they’re in a scene. They believe it. They’re playing. They’re having so much fun that it’s infectious'. Another brilliant thing about Nativity! The Musical is that, similarly to the film, it is very much a story based in Coventry, and that reflects in the young cast, which all come from the Midlands. When discussing this, Simon Lipkin tells me that Birmingham born writer and director Debbie Isitt is very proud of the story's Coventry setting. Lipkin shares this feeling, explaining that 'I think it’s what made the first movie so special. It was made with love and it really was home-grown. It was shot in and around Coventry and Debbie was pretty adamant that it stayed that way'. 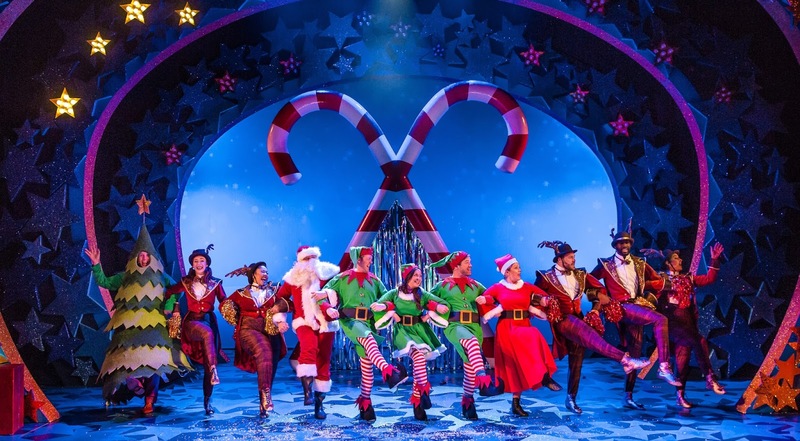 Now Christmas is upon us and audiences are flocking to the theatre to get a dose of festivity, I'm curious as to whether Simon Lipkin has any festive traditions of his own. He explains 'I never did a Nativity, largely because I’m Jewish and it would have been weird to do a Nativity in a Jewish Primary School, but we did lots of school plays and stuff.' He goes on to say that 'in terms of traditions, I like all of the normal stuff. Pre-Christmas is my favourite. The run up when there’s fairy lights everywhere and everyone’s a bit festive, it’s a bit cold outside, and there’s Christmas music playing.' It really is a wonderful time of year, and Lipkin summarises that 'sitting down, eating lots, having fun, and watching awful Christmas film, that pretty much sums up Christmas for me'.